Home > Can Amazon Legally Cancel Its Film Deals with Woody Allen? Can Amazon Legally Cancel Its Film Deals with Woody Allen? Amazon Studios entered into a deal with filmmaker Woody Allen for a series titled Crisis in Six Scenes. Amazon and Allen then agreed on a deal for four movies. These contracts guaranteed Allen’s company, Gravier Productions, minimum guaranteed payments totaling between $68 million and $73 million. You can read the contracts here. 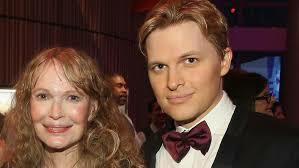 However, in 2016 a Hollywood Reporter column by Ronan Farrow (son of Allen’s ex-wife Mia Farrow), the rise of the #MeToo movement, and Allen’s daughter’s allegations of sexual abuse cast negative publicity on Allen. Does Amazon Have Any Legal Grounds to Terminate Its Contracts with Woody Allen? Sometimes parties who are accused of breaching a contract invoke the defense of frustration of purpose, which “applies when the frustrated purpose is so completely the basis of the contract that, as both parties understood, without it, the transaction would have made little sense.” D & A, 25 Misc. 3d 1211(A) at *6 (citing Crown IT Servs. v. Olsen, 11 A.D.3d 263, 265 (1st Dept. 2004)). In one case where this defense succeeded, a homeowner hired a contractor to renovate her home, which she owned jointly with a husband whom she was divorcing. The homeowner’s agreement with the contractor provided that work would be done according to a payment schedule that would be provided upon settlement of an insurance claim. Payment was prevented, however, when the divorce court issued a restraining order barring the homeowner from transferring her assets. The contractor ceased work and sued the homeowner for breach. The homeowner invoked frustration of purpose as a defense, and the court agreed that usage of the insurance payment for the home renovation “was the basis upon which [the parties] contracted” and that this purpose was frustrated by the restraining order. However, courts construe this defense very narrowly, and it is unlikely that Amazon would be able to walk away from its contracts with Woody Allen scot-free. And it is very likely that Amazon would have to pay to Allen amounts that he or his companies have already spent in reliance on the executed contracts. What do you think? Should movie studios and producers be allowed to breach contracts with “tainted” figures in light of the #MeToo movement?